TORONTO, Ont. – The country’s largest truck show – Truck World – is just around the corner, and this year, organizers are promising an unrivalled experience. 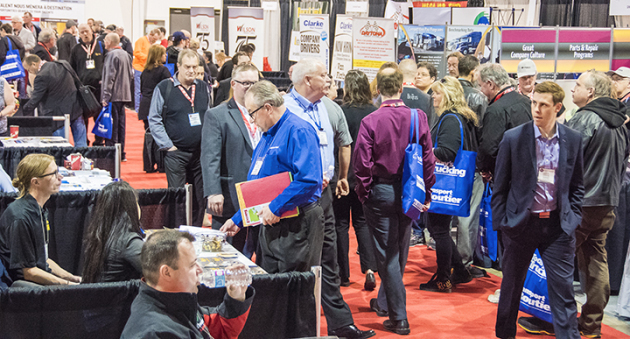 Truck World is scheduled at the International Centre in Toronto from April 19-21 and so far, there are 500 exhibitors and suppliers confirmed to attend. This year marks the first partnered show, as Newcom Media joins forces with Deutsche Messe to bring the truck show to life. Both organizations came together in 2017 to bring the first ever North American Commercial Vehicle Show in Atlanta, Ga. For Truck World, their new partnership hopes to bring more American suppliers to Canada. “Now that Truck World is co-owned by Newcom Media and Deutsche Messe, this new partnership will give Truck World a better and stronger exposure in the U.S. and international markets,” Thierry Quagliata, the new show manager, said. Truck World is also growing this year as it opens the doors to five halls, expanding to 390,000 sq.-ft. of exhibit space. Also new this year, is a number of new products being launched and featured at the show. Products being launched at this year’s show include accessories, trucks, trailers, and components. And if you’re a member of the public curious about a job in trucking, or if you’re looking for a change within the industry, then Truck World is the place to be. “We are going to have over 90 employers with booths at the show who are going to be seeking new truck drivers as well as other industry professionals, like truck technicians,” said Quagliata. There is also a dedicated driver recruitment pavilion with more than 75 confirmed fleets attending. Knowledge stops are also a new feature this year. The knowledge stops will be taking place throughout the show, and topics include: succession planning, cannabis in the workplace, how to win a pitch and more. And Truck World is going digital, Quagliata said, replacing its usual printed show guide with a mobile app sponsored by Cummins that will help attendees navigate their way through the show with an interactive map, agenda run down, and a communication feature. “With the new mobile app, attendees can communicate before, during, and after the show using the direct messaging feature,” he said. Attendees can download the mobile app by searching “Truck World 2018” in their device’s app store. Attendees can also look forward to complementary Wi-Fi at the show sponsored by Navistar. • Thursday, April 19 from 10 a.m. – 6 p.m.
• Friday, April 20 from 10 a.m. – 6 p.m.
• Saturday, April 21 from 9 a.m. – 5 p.m.
To register, or learn more, visit www.truckworld.ca.